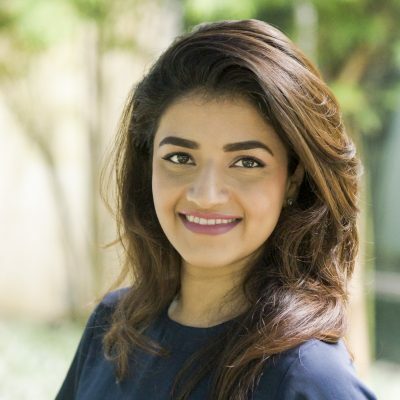 Rubaab was raised in Toronto, Canada where she completed her Bachelor of Science degree in Honors Biology after which she earned her Diploma of Dental Hygiene. Before coming to Singapore, Rubaab practiced in general and specialist clinics throughout Toronto. With over 5 years of experience, Rubaab has had the opportunity to also be involved in various public health initiatives by organizing and conducting educational lectures/activities in elementary schools, elderly care facilities and health fairs. Rubaab enjoys working as a dental hygienist because it allows her to explore her interest in health and science while interacting with people in a meaningful way. As an advocate for oral health, she takes pride in helping her patients overcome dental sensitivity and anxiety. Rubaab is an active and registered member of the Canadian Dental Hygiene Organization and Singapore Dental Association. In her free time, Rubaab enjoys working out at the gym, cooking and exploring new places and experiences through travel.